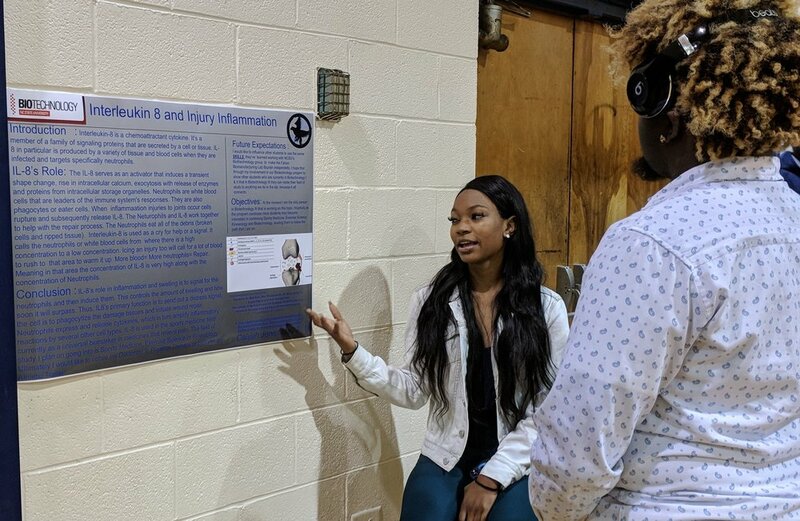 Monday May 7th the biotechnology students of Falcon Biomanufacturing, at Bertie Early College High School (BECHS), presented posters on their ongoing efforts to establish a start-up biotech company. The 11 students (pictured on the right) and their classmates are building on the efforts of previous students and developing the methodology to express recombinant proteins in their high school biotechnology laboratory. This year's students focused on optimizing protein quantification and assessing protein production by PAGE and Western blot analysis. Each of the BECHS biotechnology students selected a different aspect of the protein production process to highlight for their presentation. Click on the posters in the slide show to see an up close look of their work, or on the videos to see them talk about their topic. The students, faculty and staff of BECHS would like to thank all who attended this year's Biotechnology Symposium. 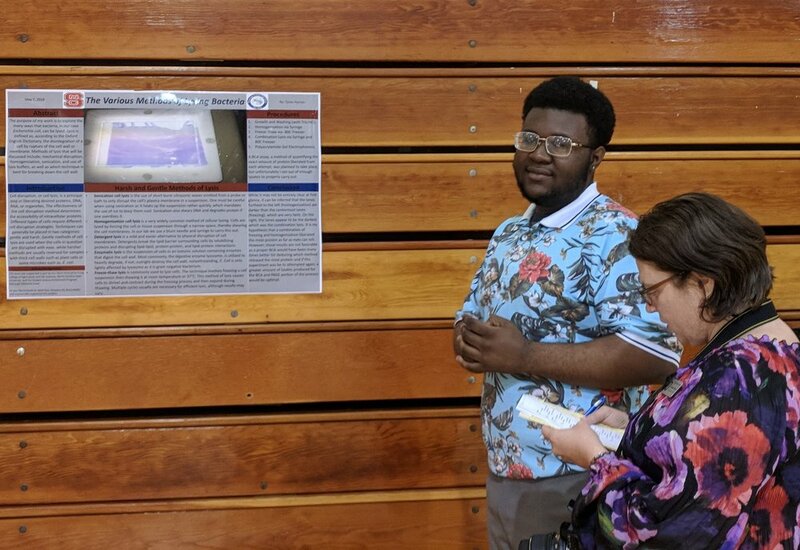 As in previous years, the symposium was well attended and we appreciate everyone's time and commitment to these great students. 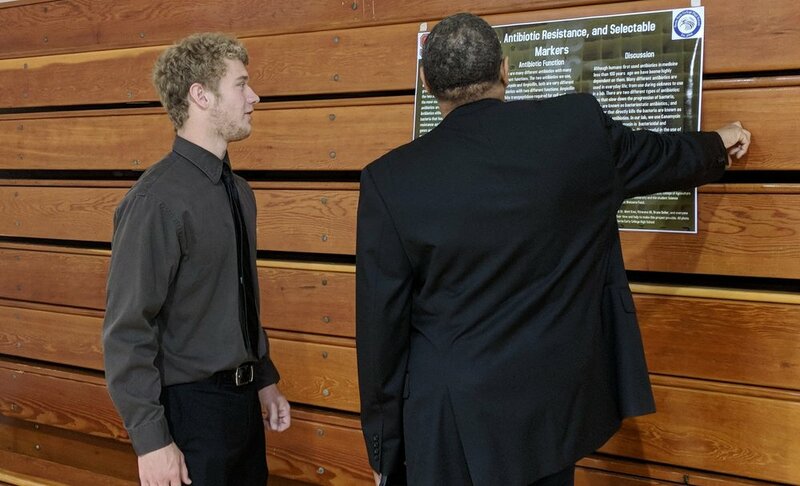 In addition to the teachers, staff, students and parents from BECHS; the students of Falcon Biomanufacturing presented their work to students, scientists, educators, and business leaders from across the state, and beyond. To all those who attended, assisted, and/or participated in the 6th BECHS Biotechnology Symposium, your involvement helped make this event a great success. We look forward to seeing you all next year.